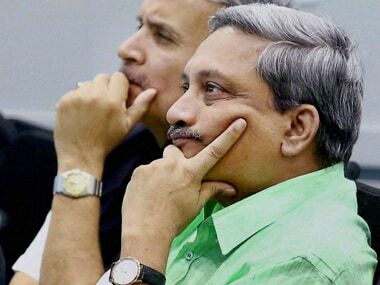 The Congress is exploring the possibility of forming government in Goa, with differences emerging between the BJP and its alliance partners Goa Forward Party (GFP) and Maharashtrawadi Gomantak Party (MGP) over whether an ailing Manohar Parrikar should retain the chief minister's post. All India Congress Committee secretary A Chellakumar on Sunday said his party was looking into the possibility of forming government in Goa. “Our stand is very clear. We will definitely explore all the possibility but that does not mean that we will do it by compromising the ideology or compromising the interest of Goans,” he said, adding, “We are not in a hurry to capture the power by compromising people of Goa’s interest. Congress is accountable to the people." The Goa Pradesh Congress Committee, unit of Indian National Congress in Goa, has also appealed to state Governor Mridula Sinha to give the Congress an opportunity to form a stable government in the state. A statement was issued by Goa Pradesh Congress Committee's president Girish Chodankar, which said, "The Congress has never hesitated to play the role of a constructive and effective Opposition, but we will not hesitate to come forward and take responsibility to form a government. We have already cautioned Honorable Governor Her Excellency Dr Mridula Sinha about a possible ploy by the BJP to fraudulently impose President's Rule in Goa, through the back door." It added, "We urge her (Governor Sinha) once again, that the Congress should be given an opportunity to form a stable government in Goa, in view of the prevailing political chaos in the state." This comes amid reports of BJP exploring the possibilities to merge its alliance partners GFP and MGP with the saffron party. BJP leader Michael Lobo, who is the deputy speaker of the Goa Assembly, told PTI that the party emissaries, who are travelling to the state to assess the political situation amidst falling health of Parrikar, would suggest its allies GFP and MGP that they should become part of the saffron party. 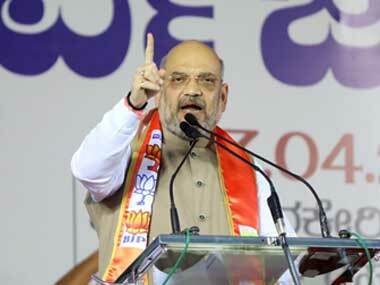 "A proposal will be made to the GFP and MGP, asking them to merge with the BJP. Only after that, we will take up issues such as who will be the next chief minister or who will take over the charge or anything related to it," Lobo said. The GFP and MGP have three MLAs each and are supporting the BJP-led government in Goa. While on one hand Lobo said that the BJP leaders would suggested its alliance partners GFP and MGP to merge with it, MGP chief Deepak Dhavalikar ruled out a merger with the saffron party. "There is no question of a merger. We are not interested in a merger. It will never happen. We have built the party over several years and it is the hope for the future of Goa's politics," he said. "We have a 12-13 percent vote share in the state, so where is the question of merging?" Dhavalikar asked. Earlier on Saturday, the MGP had also said it was "high time" Parrikar handed over the charge to the senior most minister in his Cabinet during his absence. 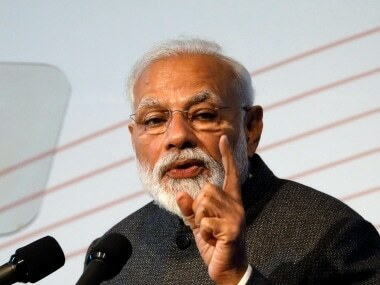 Besides, MGP, Congress has also criticised Parrikar, who is admitted at All India Institute of Medical Sciences (AIIMS) in Delhi on Saturday, for not handing over the charge of the administration to any of his Cabinet colleagues. Chodankar said in the statement, "Goa Pradesh Congress Committee is keenly watching the political developments unfolding in Goa while Chief Minister Parrikar is being rushed to AIIMS in Delhi for treatment." The Congress further claimed that the greed for power of the BJP and its allies stands exposed. "We would also like to remind the people of Goa, that their well-being is the last thing on the minds of the ruling political parties who are unleashing the ugly game of power and clamouring for their benefit. The greed for power of the BJP and its allies is exposed to the fact that they can't even give charge to a trusted lieutenant in the absence of chief minister," the statement reads. The Congress also accused the BJP of creating a mess in Goa over last 16 months. 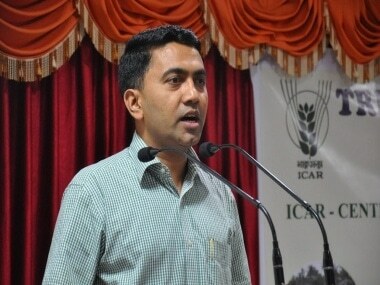 The Congress Committee said, "While we sympathise with the chief minister as far as his health is concerned, his act of snatching away the mandate given to the Congress in the 2017 Assembly elections and his total mismanagement of all major issues in Goa, including mining, formalin, food adulteration, pollution, casino, unemployment, etc, have already driven Goa to the edge." "No one in Goa is happy, BJP is not happy, allies are not happy, the people of Goa are unhappy, bureaucrats and government officers are unhappy, even the chief minister and ministers are unhappy. This happens when you don't respect people's mandate. 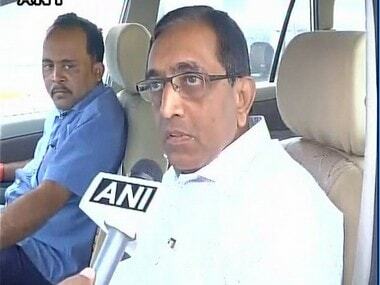 BJP and its allies should take up the responsibility for this mess created in Goa over the last 16 months," it added. The committee further asserted, "This current confusion of epic proportions, which we are witnessing is only going to hurt the prospects of the state further, especially when the BJP, does not even have a second-in-command to succeed Parrikar in his absence. The very fact that a second-in-command was never allowed to be groomed by the BJP, shows how selfish interests have sacrificed the interest of the party and the state of Goa." Parrikar underwent treatment at a United States hospital earlier this year. He went back to the country again on 10 August for a follow-up and returned on 22 August, but he was later admitted to a private hospital in Mumbai the next day due to health complications. He once again left for the US on 29 August midnight and later returned to India. On 15 September, Manohar Parrikar, who is suffering from a pancreatic ailment, reached AIIMS for further treatment.